Today we are joined by two advocates and non-profit leaders who head up organizations that do the meaningful work of advocating social and racial justice in the workplace. 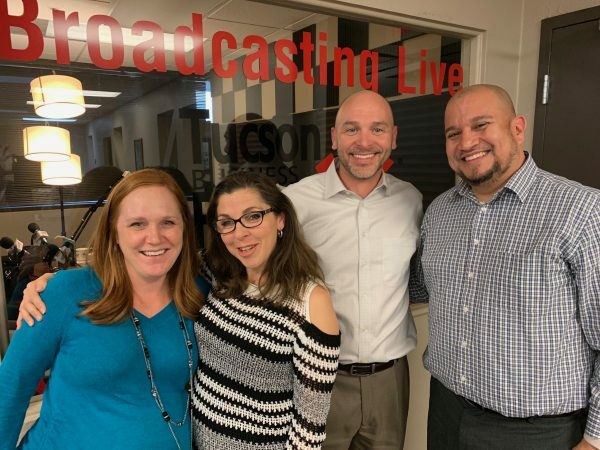 Executive Director, Job Path, Inc.
SOCIAL MEDIA: Facebook (LinkagesAZ) | Facebook (Center for Independance | LinkedIn | Hailey Thoman is the Executive Director for Linkages. She is originally from Michigan and earned a bachelor’s degree in Business Administration from Central Michigan University. In 2007 she moved to Tucson and has spent over 10 years in the non-profit sector. Over 7 of those years were working at Linkages where she ultimately led the organization as their Executive Director. This work allowed her to educate employers on the benefits of hiring individuals with disabilities and then linking those businesses to resources where they can connect with job seekers.